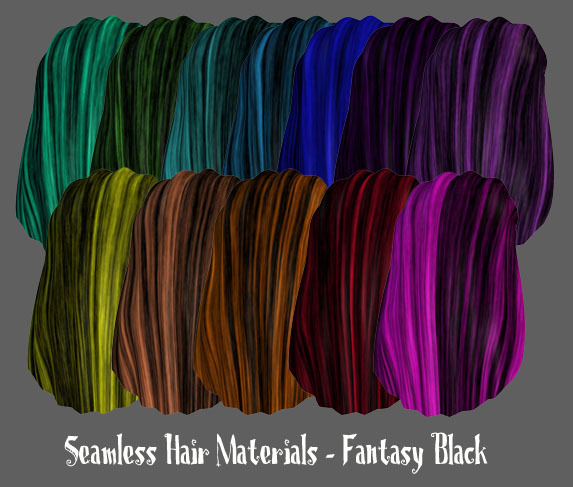 A set of mix & match toon hair props for your rendering needs. 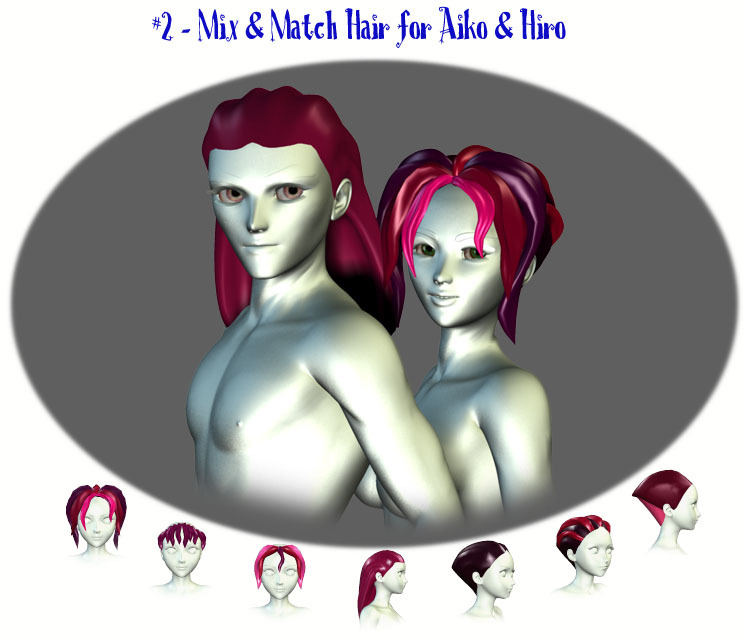 All bangs come with fit morphs to adjust for the different back elements as needed, as well as a realistic fit morph. Templates are included, but no textures, transmaps or displacement maps. 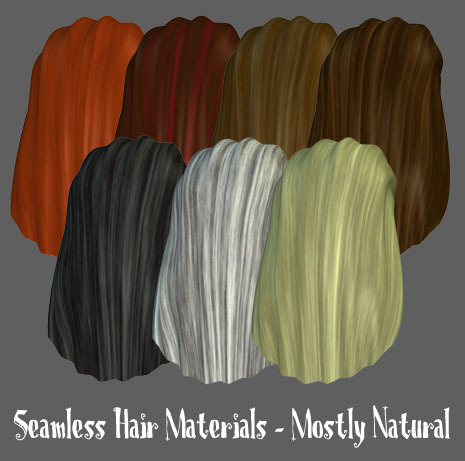 You can pick from the three hair material packages below for textures. Poser 5 on up material files for the seamless hair tiles as seen above. As an extra bonus this holiday season, I'm giving these also as a resource. 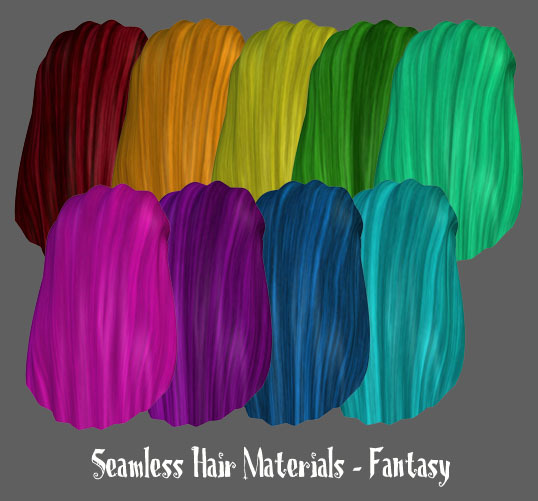 You may use the hair tiles to create your own specific textures for various things to redistribute AS FREEBIES ONLY. See Read Me file for more information. PSD files are available upon request.